Do you have a vision for the next big track? Having trouble finishing your records? 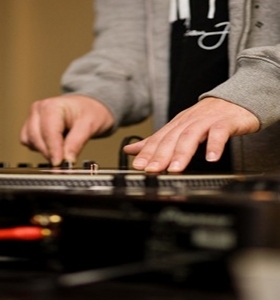 Want to take your DJ Career to the next level? Want to play your very own records when you perform live? Are you a music writer but no equipment to produce? With experience in producing all varieties of musical genres, we will guide you into becoming not only a Producer but an Artist in your own right! These courses are 1-to-1 sessions with you and your Tutor in a comfortable studio where you can freely express all your musical ideas! Each course is designed specifically for each person with all capabilities, whether you have no experience in production, or you are already producing music, want to learn as a hobby or for a career, we have the right courses for you! Danny Rhys is an emerging underground House DJ/Producer from London, UK under the House Duo Alias “6FTSHORT”. Formed in 2014 by Danny and Lewis Thatcher, two exceptionally talented DJ’s/Producers. In an astonishingly short space of time 6ftShort have formed a growing fan­ base, played at the capital’s biggest clubs and released records on Mark Radford’s Plus Recordings. Danny has appeared across Europe, London and Kent including the superclubs Amnesia Ibiza, Kalypso Croatia, Ministry of Sound, Egg London, Fire & Lightbox LDN and festivals such as We Are Festival, The Social and Transitions. Under the 6ftShort Brand, Danny has been featured live on Ministry Of Sound Radio chosen to be streamed live alongside Nervo amongst features in Mixmag and Noctis Magazine. Danny has a had the pleasure to work alongside the “Nasty” rising star Marc Spence, award-winning producer JP Lantieri and renowned Sound Engineer Michael Jansons. 6ftShort’s latest EP release was June 2016 on Plus Recordings with one of their highly anticipated tracks “The Eyes” which has been featured live on Rinse FM, amongst support from artists such as Claude Von Stroke, Ryan Blynth, Lupe Fuentes and many more. Amongst releasing records 6ftShort hosted their own stage at Transitions Festival.